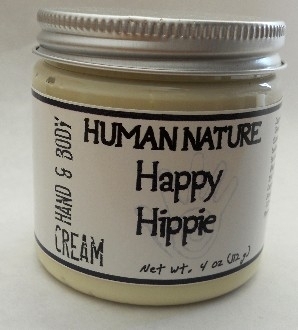 Our body cream not only smells great it does the trick with those that have extra dry or chapped skin. A little goes a long way! 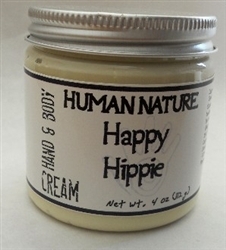 Happy Hippie Cream is scented with patchouli & clove essential oils.